Social media platforms are no more considered a fad in the marketing world. With the ever-increasing social network user base across the world, they are now seen as potential marketing platforms. Don’t believe me. See the numbers. • Worldwide marketers experienced the leading benefits of social media and mentioned in January 2018 that they received 78% more traffic and 64% more leads. • As of April 2018, there are approx. 2 billion monthly active social media users worldwide. This number is expected to reach approx. 3.02 billion by 2021. 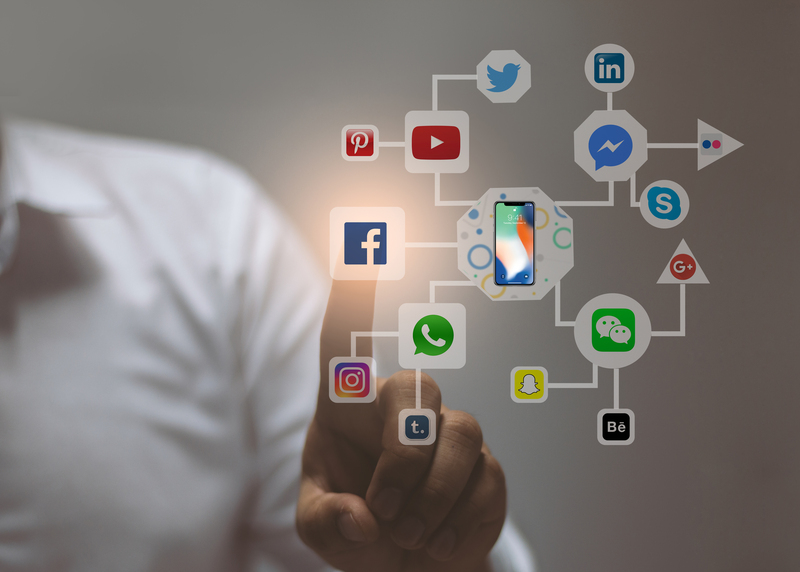 With such an immense popularity and customer base, it becomes essential to have a powerful marketing strategy to optimize the use of social media. Use the power of social media and expand your reach with the advantage of two-way communication. Get your digital magazine recognized, liked, and shared. Generate more revenues and reduce marketing costs. Drive interest for your upcoming issues, appeal users with interactive images, audio, and video. Through social shares, let your customers say it to their friends and family. This will help you to gain credibility. We are here to guide you on how to make optimum use of the social media. First things first, know your market and choose the platforms accordingly. Trying to make an online presence on every emerging social network will take you nowhere. Rather it is recommended to make a powerful presence on selected platforms and give your best on them. For example, if your digital magazine is about cooking, choose YouTube to present recipe learning videos and Instagram to upload mouth-watering pictures with impressive captions. Delivering value should be your primary concern. You should aim for valuable content, whether motivational, inspirational, educational or others. Also, your content should not reflect incessant promotions. Always prioritize quality over quantity. High-quality valuable content will always be appreciated by your readers. Listen to your customers’ choice and update the delivered content. Strategize to cater fresh and valuable content to keep your readers engaged and excited. At the same time, don’t be reluctant in repeating timeless content, if required. After choosing the right platforms and developing high-value content, it is necessary to keep a track of your social uploads. To avoid being stuck, repetitive or being out of the content to be worse, it is recommended to maintain a content calendar. You can keep a track of the uploaded content by using various social media scheduling tools available in the market. It also helps in delivering a variety of content (video, article, news, images, and others) over the complete week. This develops an excitement and avoids boredom amongst the readers. Make sure to socialize and actively engage with your audience. Be responsive, join conversations on a particular topic and leave relevant and genuine comments. Initiating or engaging in conversations helps in gaining more potential customers. Timely reply to your customers’ queries and clear doubts. Make it a priority to listen to your customers and show eagerness to help. Ensure that you maintain two-way communication with your user community. Also, actively follow the key players in your industry. Learn from them and get motivated. Develop and grow relationships with customers, influencers, and high-profile people on social media networks. Follow them, participate in their online journey, like, share, and comment on their posts. Interaction is as important as developing strategies and content creation. Developing trust and real connections goes a long way. Influencers and customers are a great way to gain mass attention and boost your business. To achieve great end results, choosing the right metrics is as important as putting time and efforts in all the aforementioned steps. Wisely differentiate between useful metrics and vanity metrics. The number of followers and page likes are encouraging but not the right growth measuring parameters. Instead, you should look how your content is taken by your clients. Is your content appreciated by your client? Are they finding it engaging and awesome? You can be sure of this if your posts are receiving a good number of likes, comments, and shares. With all the tricks at your tips, you are all set to take your digital magazines to new heights. Use social media advantage and efficiently manage your marketing strategy. Stay ahead of the competition with happy readers.